February 17, 2012 Owen was a Friday Fabulous Flyer, and he's back. 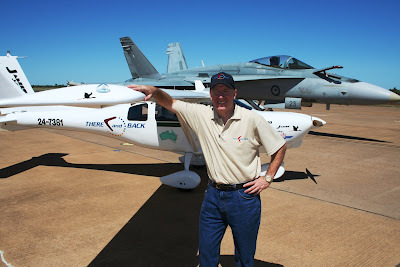 He is a pilot, author, speaker and all around great guy. This time we are shouting about his new book. 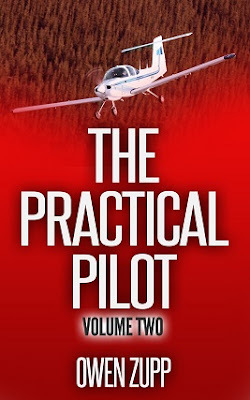 The Practical Pilot' delivers you an easy-to-read, common sense guide for pilots that goes beyond the classroom and Owen Zupp has just released volume two. This second volume of the successful series reviews topics ranging from passing check rides and in-flight emergencies to flying the go-around and lessons learned from a real forced landing. This award-winning author has been a qualified flight instructor for more than 25 years and accumulated over 18,000 hours in over 80 aircraft types ranging from two-seat trainers to international airliners. Whether you are yearning to fly, learning to fly or revisiting lessons from long ago, 'The Practical Pilot' offers something for every pilot. Good book...pilots everywhere should read it and learn from it. Thanks so much for the feedback, Jake. It's greatly appreciated. Cheers.